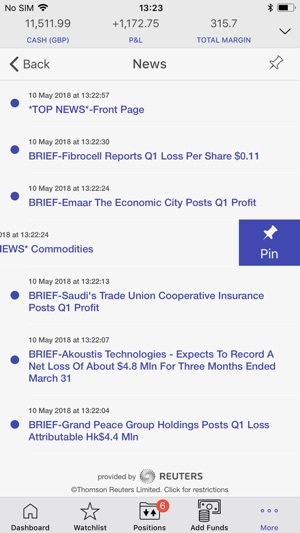 Trade on the move with the newly redesigned WH SelfInvest iPhone app. 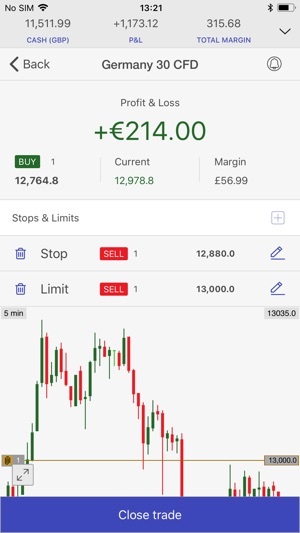 The awarding winning iPhone app is your essential tool for managing your WHS trading account when you’re away from your computer. Our trading app provides full and secure access to your WHS trading account, meaning that you will never again have to miss a trading opportunity when you’re out and about. 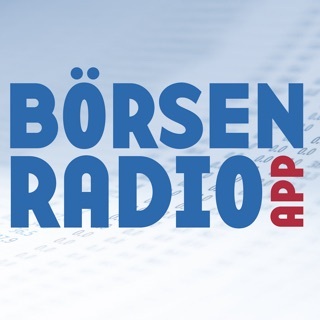 Simply download the app, login to your account and start trading. 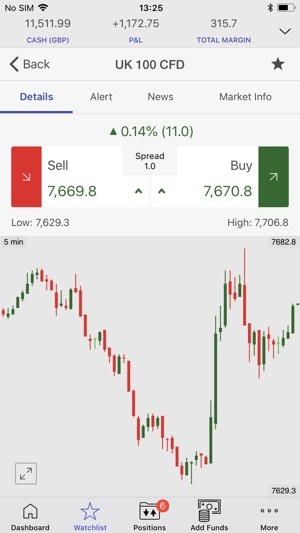 The WHS iPhone app allows you to instantly access thousands of CFD trading markets as well as our full range of major, minor and exotic FX pairs. CFDs are complex instruments and come with a high risk of losing money rapidly due to leverage. 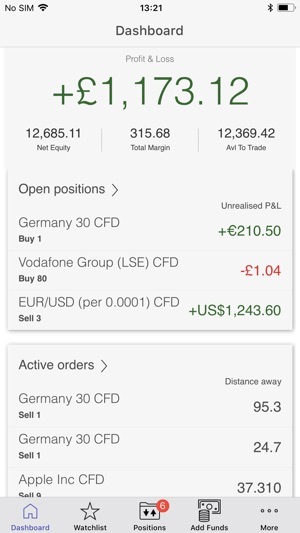 79.9% of retail investor accounts lose money when trading CFDs with this provider. You should consider whether you understand how CFDs work and whether you can afford to take the high risk of losing your money. Ich muss sagen, diese App ist sehr gut gemacht für WHS Kunden. Sie lässt keine Wünsche und Einstellungen offen. Charts sind sehr übersichtlich gestaltet. Wie von WHS gewöhnt, auch wieder eine klasse App. Alle Funktionen sind intuitiv benutzbar, die Grafik ist sehr ansprechend. Leider gibt es größere Unterschiede in der iPhone- und iPad App die so nicht sein müssten. ...vollkommen unbrauchbar. Charting eine Katastrophe. Der Rest unübersichtlich und wenig intuitiv. Verstehe den Wechsel zu den neuen Apps nicht. Probiert das jemand vorher aus bevor es veröffentlicht wird??? ?